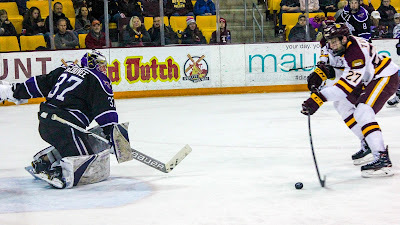 Current leader of the WCHA, Minnesota State Mankato, and near bottom of NCHC UMD meet this Saturday for the first of a home and home series that will conclude January 23, 2018 in Mankato. 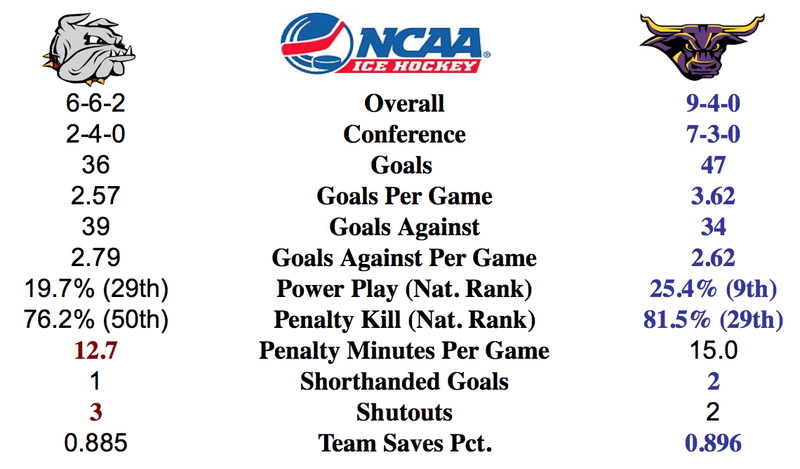 UMD and Miami were picked to finish 4th and 5th, respectively, in the September 19, 2017 NCHC Preseason Poll. And here two weeks into the NCHC season, the teams are looking like a close finish between them is unavoidable. 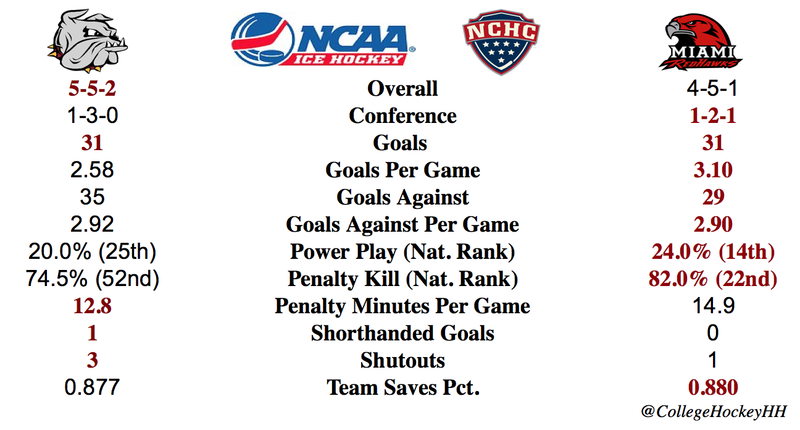 Goaltending save percentages, goals against averages, overall records, and NCHC records are all so similar, it is difficult to differentiate the two teams on paper. The intangibles are what makes a season charmed or cursed. 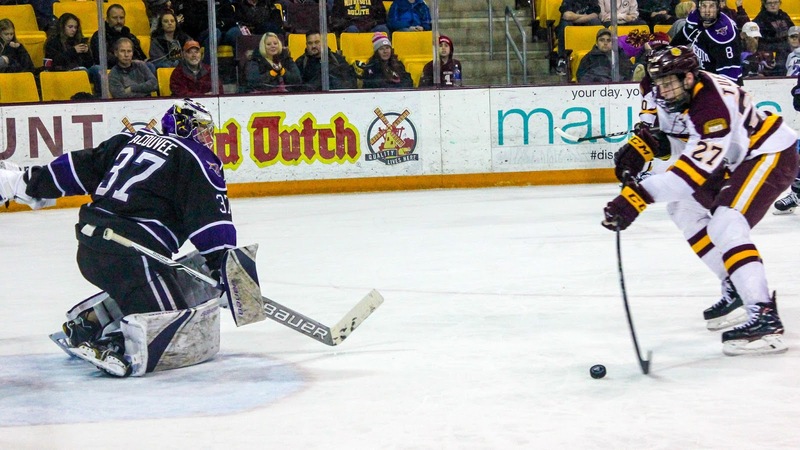 As of this weekend, UMD has been short on forwards for three weeks due to injury. 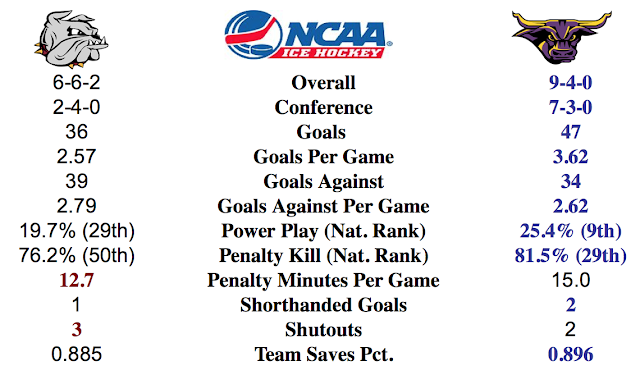 And every team deals with injury, UMD is not alone. But with such a young team, the Bulldogs losing the services of players like Nick Swaney and Joey Anderson this weekend is a big blow. Add to that loss of games recently by Mikey Anderson and Avery Peterson and there is a definite glaring hole in the Bulldog lineup. The positive? 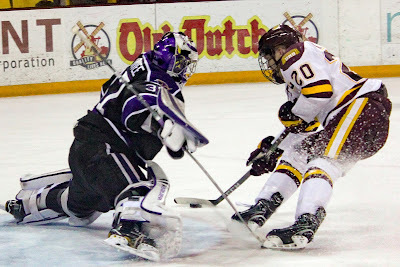 More players have stepped up and UMD has still been winning games and being competitive. A weekend like this against a very comparable Miami team is one where a sweep for UMD would definitely send a message of the UMD resolve.